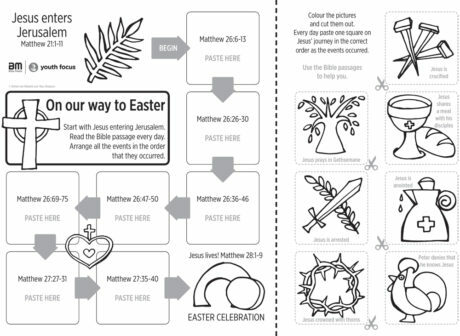 On our way to Easter is a practical activity for families to enjoy together at home before Easter. 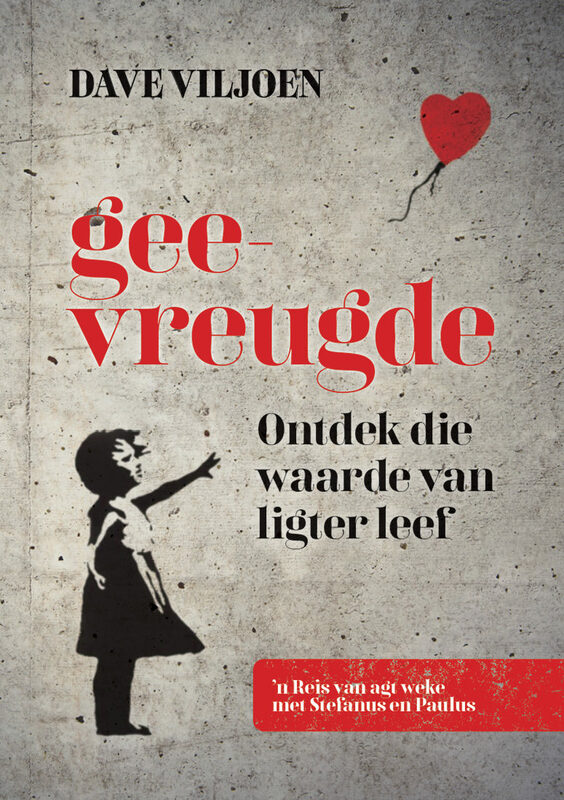 It was developed by Rethie van Niekerk for families with children in primary school. The illustrations are by Nico Simpson. 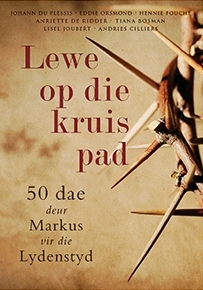 This product invites families to read the Bible passages during Holy Week and follow Jesus’ journey. 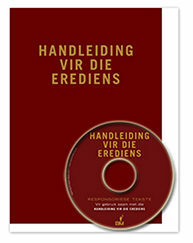 You can download On our way to Easter for free and hand it out to your congregation. Print it on A3 paper. You could also photocopy it on thicker paper. 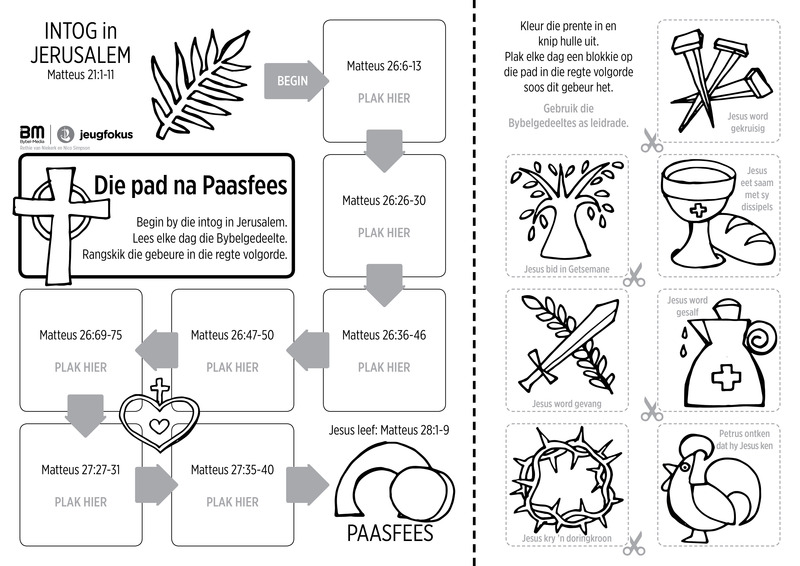 Encourage the families in your congregation to read the Bible passages, colour the pictures and cut and paste the squares to follow the story of Easter. 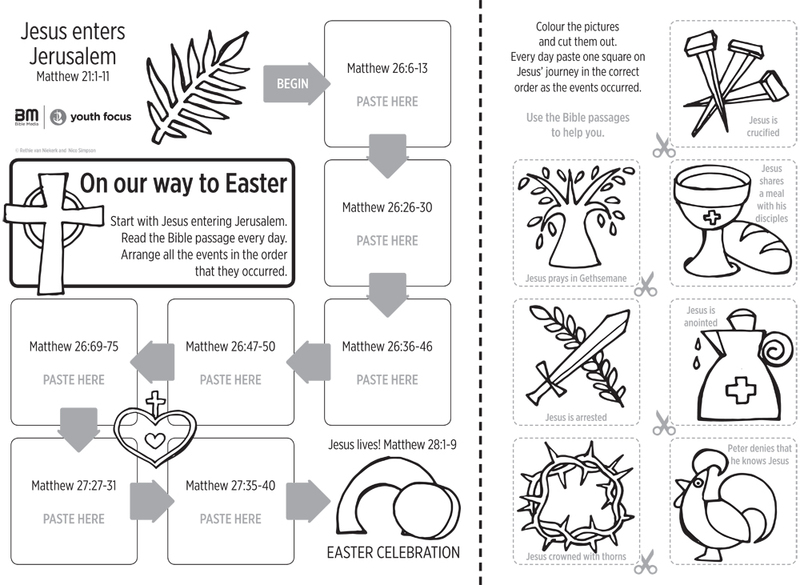 DESCRIPTION: On our way to Easter is a practical activity for families to enjoy together at home before Easter. 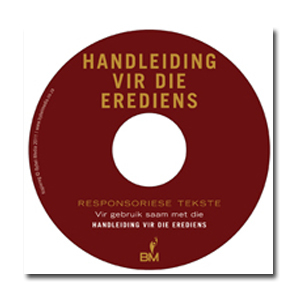 It was developed by Rethie van Niekerk for families with children in primary school. 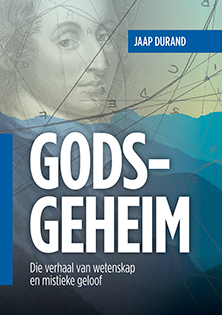 The illustrations are by Nico Simpson.